Forests, Trees and Livelihoods originated in 1979 under the title International Tree Crops Journal and adopted its new name in 2001 in order to reflect its emphasis on the diversity of tree based systems within the field of rural development. 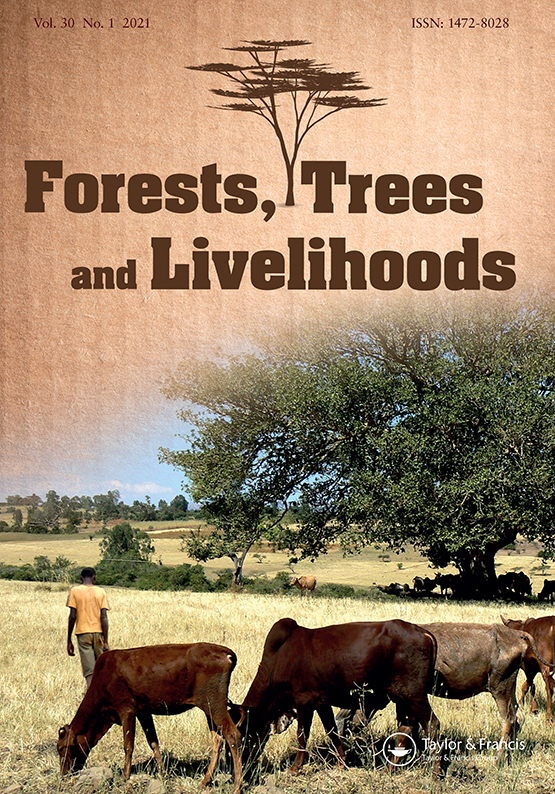 Forests, Trees and Livelihoods is a peer-reviewed international journal publishing comments, reviews, case studies, research methodologies and research findings and articles in this general field in order to promote discussion, debate and the exchange of information and views in the main subject areas of: Economic and social importance of trees outside forests and forests - including their cultural significance, potential for enhanced livelihood benefits and the alleviation of poverty; Non timber forest products and the various ecosystem services derived from trees outside forests and forests, at various spatial scales; The management of forests and trees outside forests, for enhanced livelihood benefits - including indigenous tree and forest management systems; The role of trees outside forests and forests in a context of change, including mitigation of and adaptation to, climate change; Policies and institutional issues related to rural development forestry and agroforestry, including policy implementation. Authors: Nchanji, Y.K. ; Levang, P.; Jalonen, R.
Authors: Levang, P.; Lescuyer, G.; Noumbissi, D.; Déhu, C.; Broussolle, L.
Authors: Gautier, D.; van Santen, J. Authors: Ingram, V.; Schure, J.; Tieguhong, J.C.; Ndoye, O.; Awono, A.; Iponga, D.M. Authors: Colfer C. J. P.; Minarchek, R.D. Authors: Ingram, V.; Levang, P.; Cronkleton, P.; Degrande, A.; Leakey, R.; van Damme, P.
Authors: Wiersum, K.F. ; Ingram, V.; Ros-Tonen, M.A.F. Authors: Gebru, Y.; Ewnetu, Z.; Kassa, H.; Padoch, C.